In the darkness before moonrise on the Atlantic Ocean off the African coast on August 21, 1940, the night erupted in a fusillade of bullets and shells. The victim was a stalwart English tramp steamer, Anglo-Saxon, part of the lifeline that was keeping besieged England supplied. The attacker was the Widder, a German surface raider, disguised as a neutral merchant ship. When it was near its prey, the raider unmasked its hidden armament and with overwhelming force destroyed the target ship. Only seven of the forty-one man crew of the Anglo-Saxon managed to get into a small boat and escape the raiders. Seventy days later, two of them, half dead, stumbled ashore in the Bahamas. The account of the sailors' ordeal -- how first the badly wounded and then the less strong died and were thrown over the side of a fragile boat that had almost no supplies -- is suspenseful and riveting. On the same day the two survivors reached the Bahamas, the Widder arrived off Brest, in occupied France, her murderous voyage over. Her captain, Hellmuth von Ruckteschell, who sank a staggering twenty-five ships, was eventually tried as a war criminal. 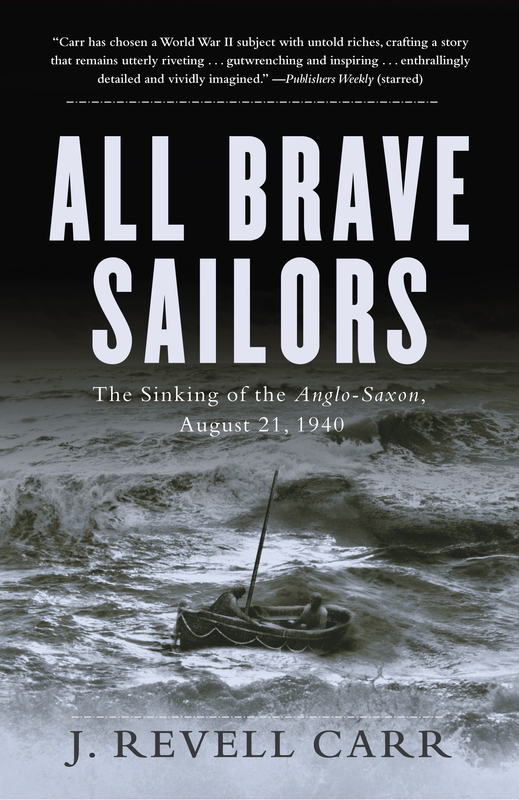 All Brave Sailors is a story of endurance, heroism, brutality, and survival under the most terrible circumstances. It fills a gap in the history of World War II, telling the story of the much neglected sailors and the ships of the merchant marine, fighting against great odds in the early days of the war. 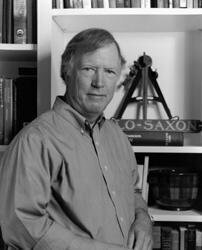 J. Revell Carr is a former president and director of Mystic Seaport, America's leading maritime museum. A former naval officer, he was also president of the Council of American Maritime Museums and the International Congress of Maritime Museums. While at the museum he was responsible for the jolly boat of the Anglo Saxon. Carr lives on the coast of Maine. Walter Cronkite Revell Carr is one of the world's outstanding maritime historians. It turns out he writes like a prize-winning novelist. With extraordinary research he has put together the true story of one ship and one life boat that synthesizes in gripping, heart-stopping detail the story of the battle of the Atlantic, and the victory over the German U-boats and raiders, that cost thousands of lives of merchant seamen but made possible Hitler's ultimate defeat. Nathaniel Philbrick author of In the Heart of the Sea and Sea of Glory All Brave Sailors is a vivid, meticulously researched account of merchant seamen during World War II -- a heartfelt tale of incredible heroism and endurance. Osborn Elliott former Editor-in-Chief of Newsweek and Dean Emeritus, Columbia University Graduate School of Journalism A Nazi raider sends a British merchant ship to the bottom of the Atlantic in the summer of 1940 -- and thus begins one of history's greatest sagas of survival at sea. Through meticulous research and with a keen eye for detail, Revell Carr captures the drama and tragedy and indomitable human spirit that finally prevails.